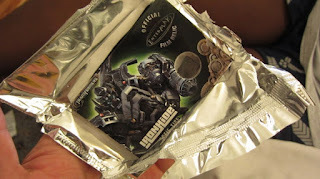 The ripping and cracking of the 56th seal of the Roboplastic Podcastalypse is the sound of 96 foil packs of Breygent Marketing's Transformers Optimum Collection Trading cards being torn apart! 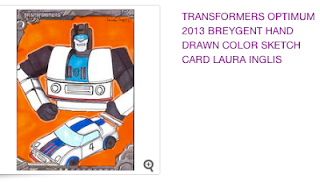 Yes the May 14th release date of this most anticipated (by me at least) of Transformer card sets finally came and went, and with it, lots of my money. 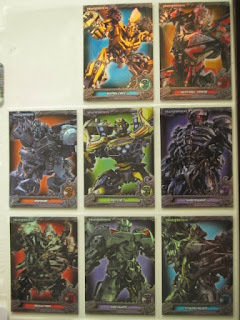 So to celebrate this momentous occasion I discuss to myself the long road to conquest littered with Autobot wrecks it's been since these cards were first announced just over two years ago. 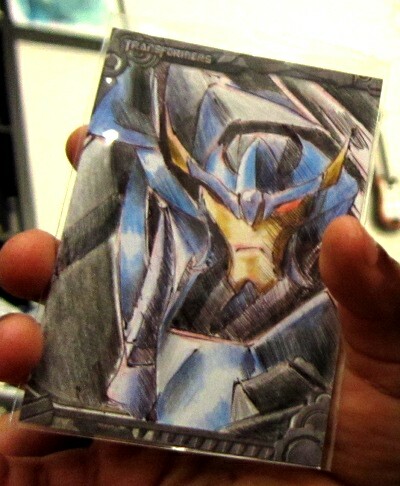 Then with the help of a very special guest (aka the Prince of Macrocrania), we tear into a box of Transformers cards with the recorder capturing it all live. 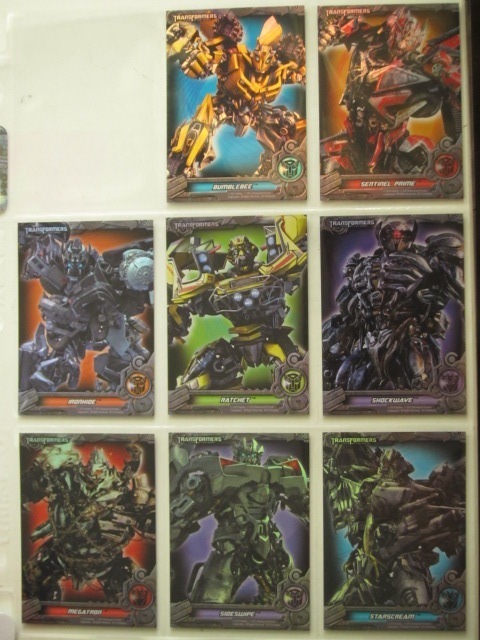 What fabulous pieces of dead Autobot corpses await us in our foily packs? Will we get a super rare, super special Destavator card? Don't we already have that one? 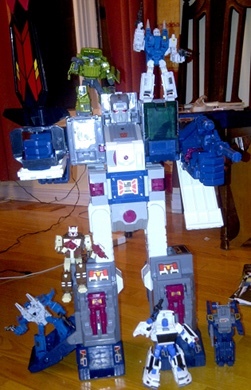 Find out all this and more in this NO PODCARDALYPSE FOR OLD ROBOTS edition of the podcastalypse! 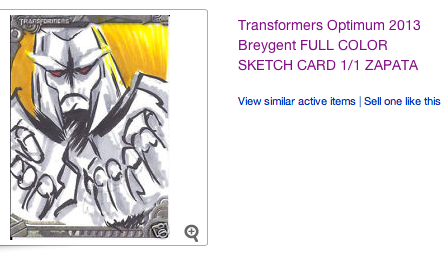 This episode features commentary on Breygent's Transformers cards by special guest toy destroyer "Super Ban", who at six years old is not only the same age as the Michael Bay Transformer movies, but also the age I was when I destroyed my first box of Empire Strikes Back cards back in 1980. To establish his Transformer fan credibility I can attest to the fact that he rides a movie Bumblebee bicycle, wears a movie Bumblebee backpack, and owns tons of movie Bumblebee toys (plus some G1 Robot Heroes he never plays with). Just so you know where his bias lies, he has been known to use the word "old" to describe any Transformers that are not from the Michael Bay movies. 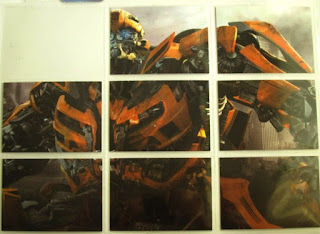 Plus the word he most commonly uses to describe the look of those "old" Transformers is "crappy". 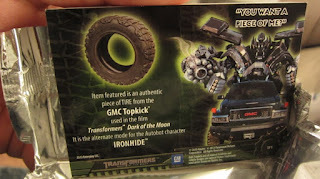 Ironhide tire! This is super gimmicky but really cool. There were two different 'small' Ironhide tire cards and a third large one where the piece of tire is as big as the entire card. The largest were 1 in 3 case incentives meant to get dealers to order more cases. 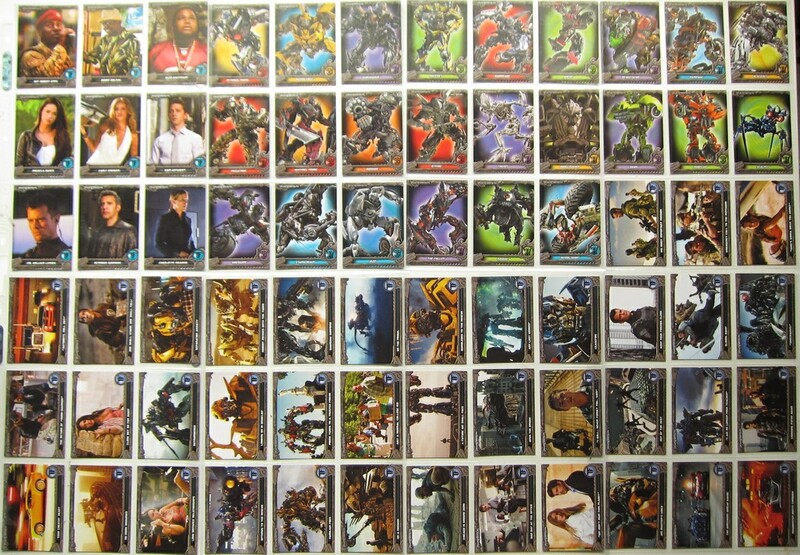 This is the 72 card base set. Almost half is dedicated to character cards and the rest don't do a good job of representing iconic moments from all three movies. 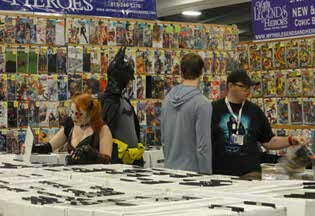 It's as if the base set was an afterthought, or something for autograph hounds to have handy for those times they see stars like Shia LeBouf at comic conventions. 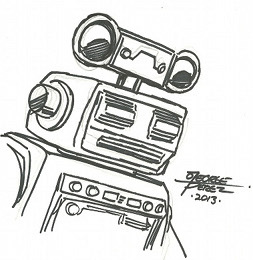 This is a sketch of a robot whose name I don't know by a guy whose signature I can't figure out. I think the artist is Jek Inanuran, but he doesn't appear on the final list of artists supplied by Breygent so who knows. I'm glad I didn't get any super crappy sketch cards, but at the same time I am sad I didn't get any super crappy sketch cards. Our complete (minus promos) G1 foil set. 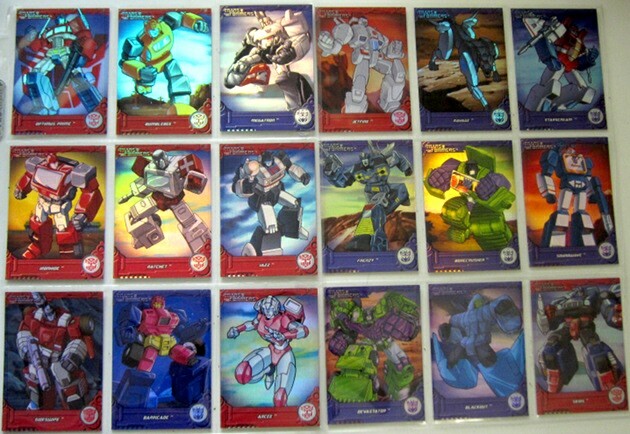 We're missing some promo cards numbered outside of these 18 but still in this style that include Demolishor, Jolt, and Rampage. I don't know how many total foils are out there, but if the promos are foil then there could possibly be one for every non-movie character that shares a name with a movie character. 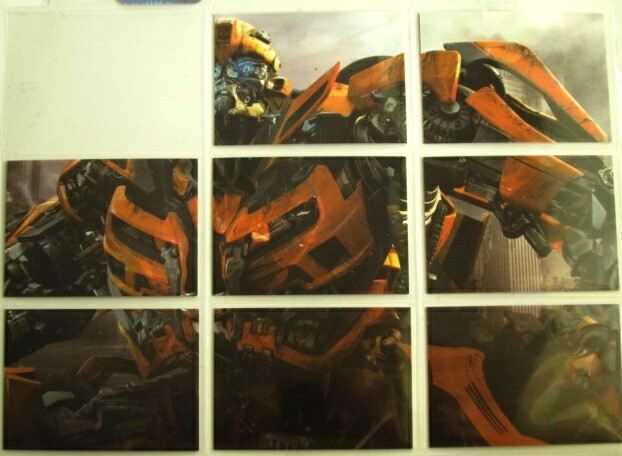 Our incomplete movie foil set and the resultant incomplete Bumblebee puzzle picture. I saw a dealer on ebay selling their set with the exact same card missing. I wish dealers would put up individual cards so I could complete this. If you add all these totals it comes out to approximately 36,000 special cards that displace an equivalent number of base cards in the packs. With 72 base cards in the set, the final number of complete sets possible after subtracting the special cards from the total of all cards made is 5,500. 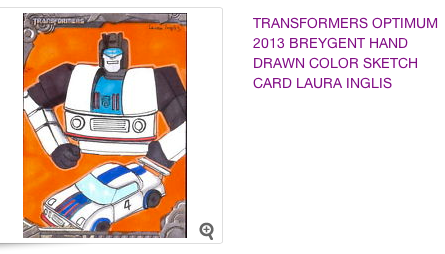 So my guess is there are only 5,500 base sets available, which is easily the attendance of Botcon on a good day. And the subsets are even rarer. There's really not a lot of these out there if you think about it. Luckily, dealers are considering this set a failure and are dumping their stock of it on ebay. 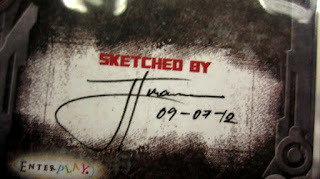 So patient collectors should eventually be able to complete sets without too much money invested. Where in the World is Herb-en Trimp-iego? 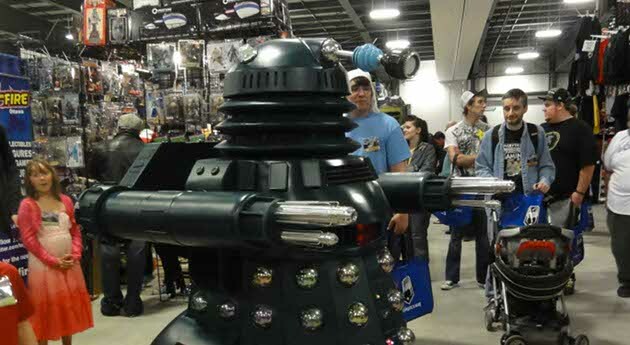 The rumbling and crumbling of the 55th seal of the Roboplastic Apocalypse is the sound of over 30,000 convention goers in Ottawa stampeding the Ernst & Young convention center for Ottawa ComicCon 2013! 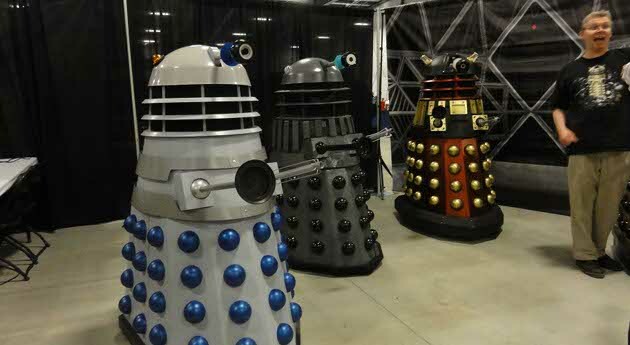 And among those in attendance was our robotastic correspondent Colin of Fairplaythings.com, looking for a chance to meet his favorite stars of sci-fi movies and television shows (many of which may or may not have been Daleks). Thrill to Colin's adventures as he tries to track down scheduled guest Herb Trimpe, the legendary artist of the classic giant robot comics Shogun Warriors, Transformers, and Robotix! Regular listeners may recall Colin and I have a pretty impressive streak of not meeting Herb Trimpe, due to past cancellations at conventions he's been scheduled to appear at (but that we went to anyways). So like the ACME Detective agency, we've pursued him all across North America, hoping the chances that Colin would score an interview at Ottawa Comic Con 2013 were pretty good! 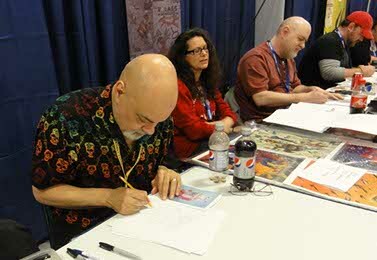 Did Colin get to interview the elusive and enigmatic Mr. Trimpe? Or will this be the only Herb Trimpe interview show with absolutely no Herb Trimpe? Find out in this CARMEN SANDIEGO'S GOT NOTHING ON THIS GUY edition of the podcastalypse!